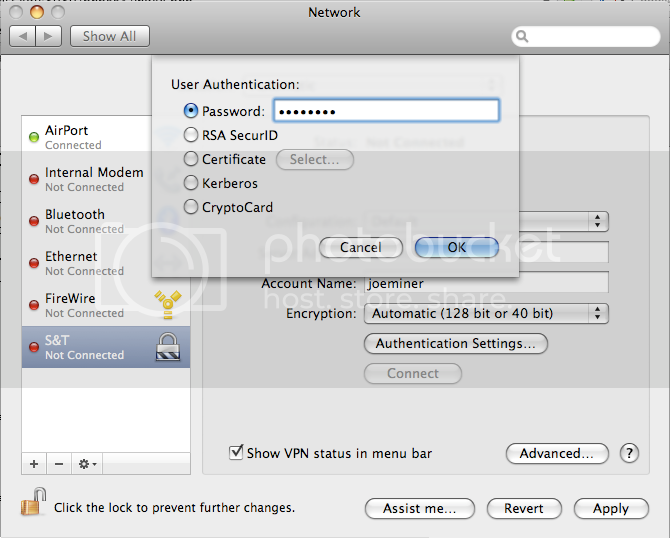 Open up System Preferences and click on Network. Make sure the panel is unlocked and then click the plus on the lower left corner. 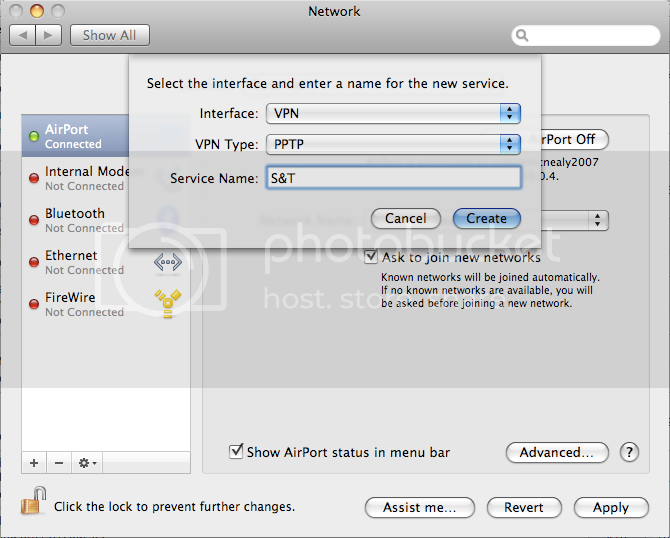 Choose VPN as the interface, the type as PPTP, and then give it a name. 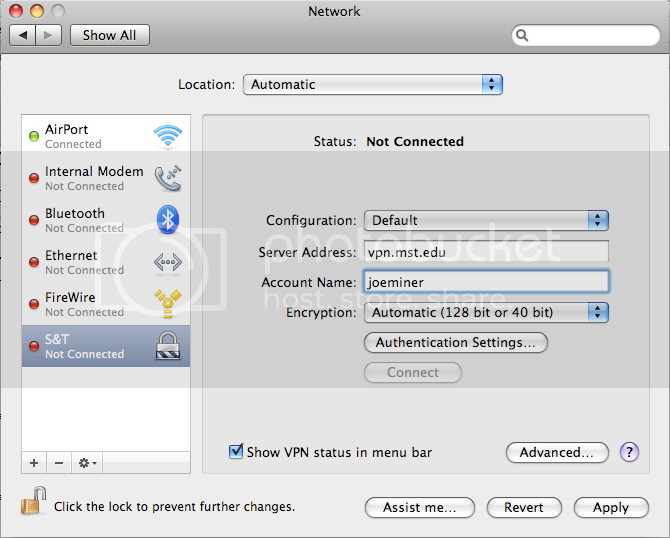 Next enter the server name as vpn.mst.edu and your SSO login, i.e. joeminer. Click authentication settings, choose password, and then enter your password. I found this quite helpful, thanks for sharing.